All of creation is alive with the news: Jesus lives! From chirping birds to chattering rabbits to buzzing bees, the pages of this Easter board book spill over with joy. 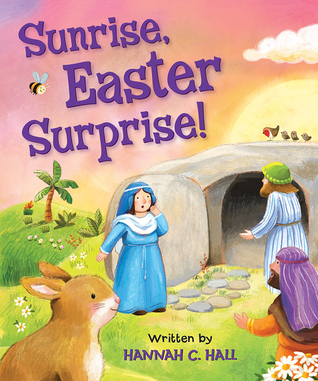 With cheerful verse and lighthearted-yet-reverent illustrations, Sunrise, Easter Surprise! imagines Jesus’ Resurrection from the perspectives of those who might have seen and heard of it first: the sun as it rose, a flower as it bloomed, and the first people at the empty tomb. This exuberant Easter book offers even the littlest listener a better understanding of what the Resurrection means to all creation: new life through Jesus.